After my printer died, I immediately ordered a new one online and not long afterwards I could pick it up from my local post office. As I use both the scanner and the printer features pretty much I went with another “all-in-one” model and I chose an HP model (again) basically because I’ve been happy with how my previous worked (before its death). “HP Officejet Pro 8500 A910” seems to be the whole name. And yeah, it really is as black as the picture here shows it. This model is less “photo-focused” than my previous but I never print my own photos so that’s no loss. What did annoy me was however that this model uses 4 ink cartridges instead of the 6 in my previous, but of a completely different design so I can’t even re-use my half-full ink containers from the corpse! My new printer has some fancy features. It is one of them that I can give an email address and then print on by sending email to it. The email address then gets a really long one with lots of seemingly random letters, it is in the hp.com domain and I can set up a white-list of people (From: addresses) that is allowed to print on it via email. Driver-wise, it seems like a completely different set for Windows (hopefully this won’t uninstall itself) and on Linux I could install it fine to print, but xsane just won’t find it to scan. I intend to instead try to use the printer’s web service for scanning, hopefully that will be roughly equivalent for my limited use – I mostly scan documents, bills and invoices for my work. 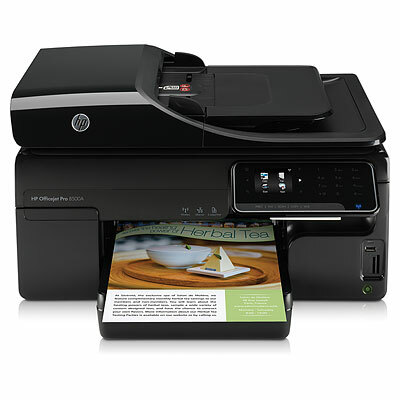 I have a HP Office Jet 6500 and swear by it (cept the ink…). I used to use xsane all the time in Gentoo using HPLIP and even the document feeder worked better then I expected. Since I’ve moved on (or down as I feel sometimes) to Ubuntu I’ve used the Gnome Simple Scan software which supports a document feeder as well. Might try giving the HPLIP stuff a try. My printer is connected via wireless FWIW. I didn’t suggest a printer since it looked like you are HP minded, but my canon PIXMA all-in-one is well supported in linux (Canon even has drivers on download). And scanning works very well.